An exclusive Acura Luxury Lease™ benefit. 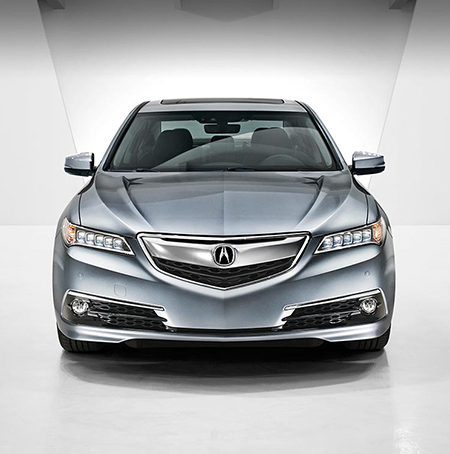 Included with your Acura Luxury Lease are the exclusive benefits of Acura Loyalty Advantage1. With Acura Loyalty Advantage, you can have the flexibility to drive over or under your contracted miles. If you exceed your contracted lease miles, you can be forgiven for half of your excess mileage (up to 7,500 miles)2 with Mileage Forgiveness. Plus, you can receive 1,000 additional miles just for leasing with Acura Financial Services. If you end up driving fewer than your contracted lease miles, Momentum Miles can allow you to roll over your unused lease mileage to your next Acura Luxury Lease (up to 15,000 miles)3. Flexibility to drive over or under your contracted miles. Up to 7,500 excess miles waived if you are over your contracted miles2. Receive 1,000 additional miles on a new lease from Acura Financial Services if you were over your contracted miles on your previous lease. 1 Acura Loyalty Advantage (ALA) eligibility is subject to verification and credit approval by Acura Financial Services (AFS). To obtain ALA benefits, clients must lease a new vehicle from AFS and undergo standard AFS verification and credit approval requirements. ALA benefits are only available within 180 days of the scheduled maturity date and 180 days after lease termination. AFS may terminate ALA benefits at any time, without notice. 2 If you are over your contracted lease miles, half of all your excess miles, up to 7,500 miles, are eligible for waiver if you finance a lease or retail purchase of a new Acura from a participating Acura dealer through Acura Financial Services. 3 If you are under mileage, up to 15,000 miles can be rolled over to your next leased Acura financed by Acura Financial Services if the new Acura is leased from a participating Acura dealer. ©2012 Acura Financial Services® is a DBA of American Honda Finance Corporation and both are service marks of Honda Motor Co., Ltd. Acura, the stylized "A" logo, Acura Luxury Lease, Mileage Forgiveness, and Momentum Miles are trademarks of Honda Motor Co., Ltd.